The Food Hall at American Dream will offer a collection of artisanal food operators in a quasi-industrial urban market setting promoting distinctive individual expression, bold graphic identity and a playful array of eclectic finishes. Within open kitchens, chefs will demonstrate their culinary talents as the bulk of the food preparation will be done on-site. Tenants will be discouraged from using commercial menu boards in favor of unique approaches to displaying menu offerings such as creative food merchandising and artful product presentation. With authenticity as the driving concept behind the food hall, inspiration was derived from the diversity of street vendors and greenmarkets throughout New York City. 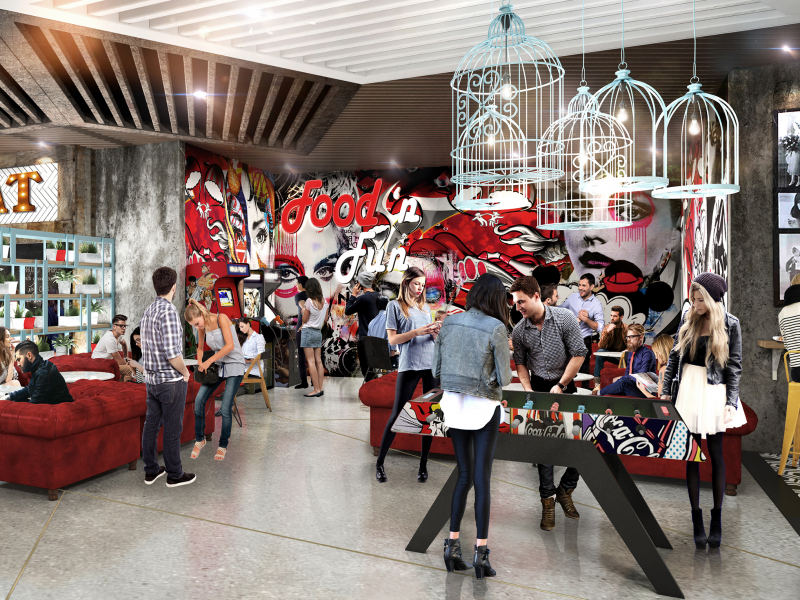 To address the Millennial lifestyle, the food hall will have a chill zone with billiards, ping-pong and fooz ball tables.